Mostar is a city defined by bridges: The beautiful Ottoman style old bridge, Stari Most, that attracts visitors from all over the world. The smaller but similarly-styled Crooked Bridge. Invisible social bridges that allowed Muslims, Orthodox, and Jews to live peacefully together for many centuries. The name Mostar even honors the bridge keepers (mostari) who guarded the town's many bridges spanning the Neretva River. That being said, you can imagine how devastating it was to watch the heart of the city crumble into the blue-green water below when bombs destroyed the Stari Most in November 1993 (I cried when I watched a YouTube video of it, that's how tragic it is). I can't imagine how big of a blow that was to the people of Mostar, already suffering so much. When I first realized Mostar's UNESCO-listed bridge is not the original one from 1566 but a reconstruction from only 2004, I scoffed at the thought of a replica inscribed as a World Heritage Site, as most historic preservationists do. Then I realized that its UNESCO listing represents more than tangible heritage. 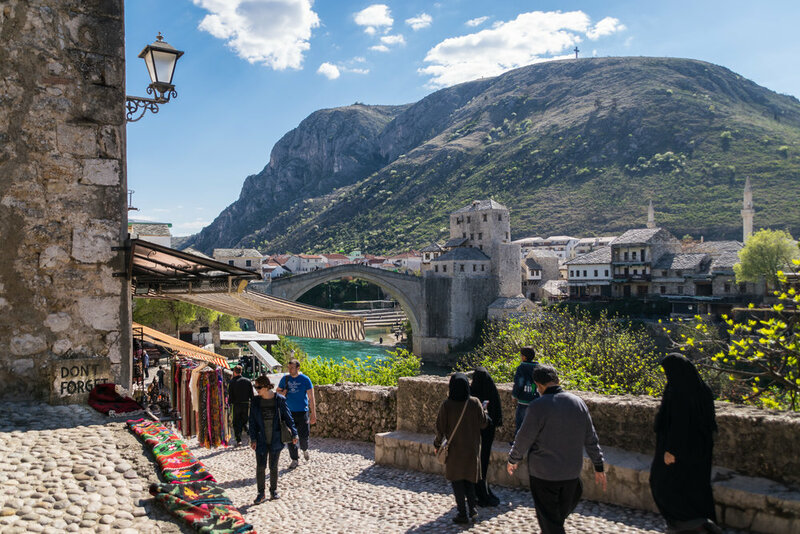 Mostar's Stari Most represents a beautiful city's culture and identity, one strongly defined by the Ottoman Empire as well as the war that destroyed it. 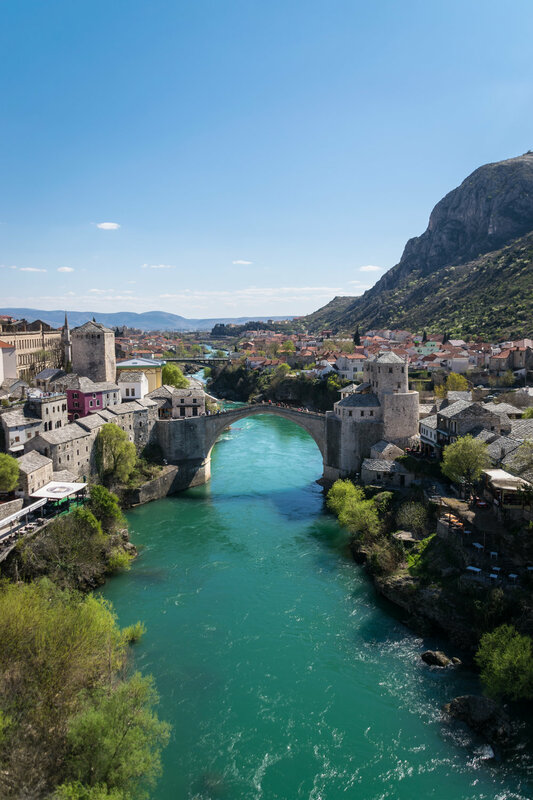 Without that bridge, I imagine Mostar would remain a beaten up shell of itself before the war and people's hearts would ache when they saw the bridge remains, and the old city wouldn't be the bustling tourist magnet it is today. 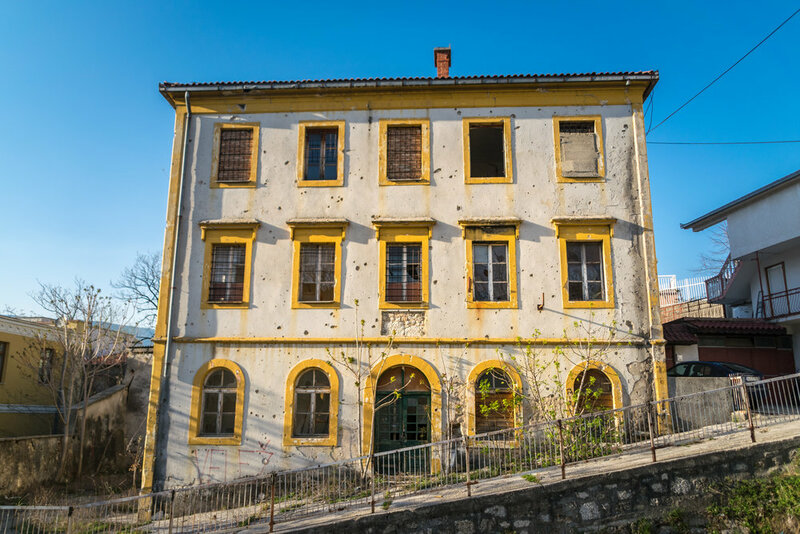 By rebuilding the bridge eleven years after it was destroyed, the people of Mostar were able to recover a bit and move closer to normalcy; those idyllic pre-war days are still far away, but the people are eager to move towards a new future. My visit to Mostar in late March was fabulous, thanks mostly to clear skies and cool temperatures. 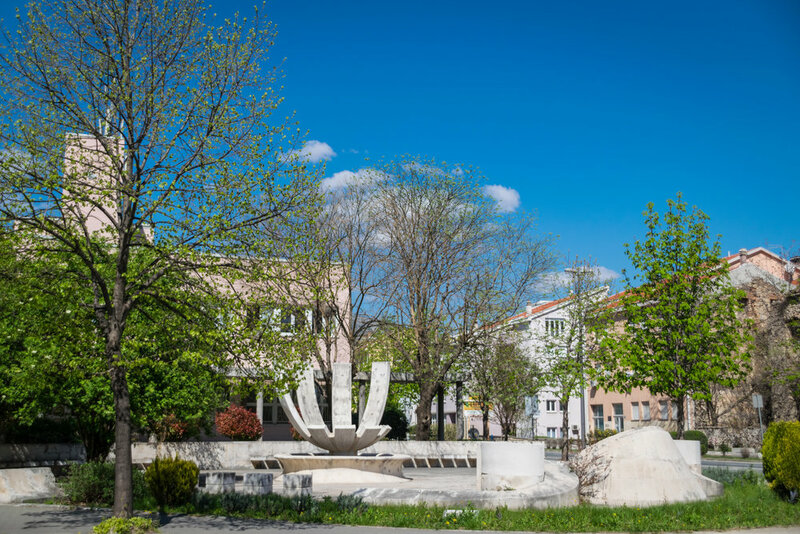 Mostar is known for being a hot and windy city, so I was glad to visit as spring unfolded. I found the mix of Ottoman and Austro-Hungarian architecture to be fascinating, and this is the first place I've ever visited with so many old and beautiful mosques. The Turkish-style bazaar along the river peddled handmade and exotic gifts I had never seen: copper plates, glass lamps, Turkish slippers, tchotchkes made from bullets, jewelry as far as the eye could see. Outside of the old city, the city is slowly recovering. Bombed out buildings mix with brand new or rehabilitated buildings, and there seem to be more cemeteries than parks. The people are very friendly and eager to talk or lend a hand; I had a great apartment host who always squealed with delight when she saw Mango and who kindly drove me to the post office and talked to the guy at the counter to retrieve a package. So, my quick stop in Mostar was quite the cultural experience and perfect for visitors craving the exotic on a small budget. For the best view of the Stari Most, climb up the minaret of this lovely Ottoman style mosque built on the steep, rocky bank of the river. 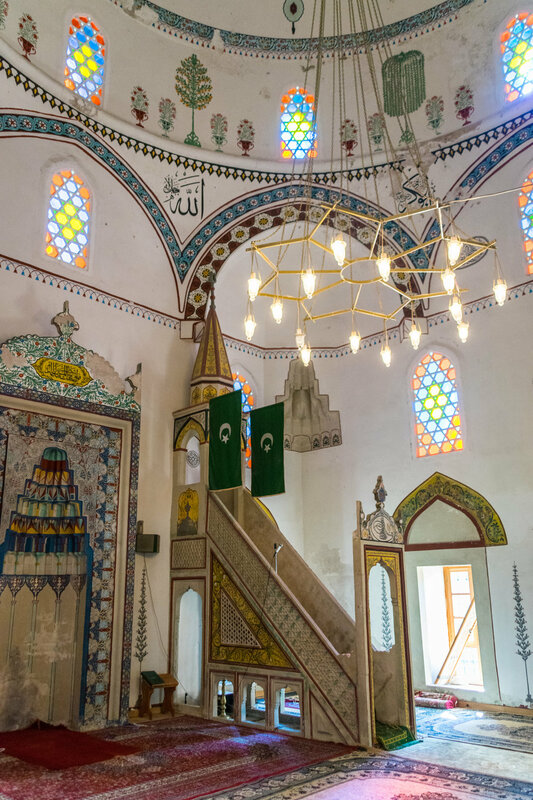 Although the limestone mosque was built in 1617, it was unfortunately destroyed in the war in the 1990s and was completely reconstructed in 2001 with help from the Republic of Turkey. The entrance fee was $7 and I wasn't asked to cover my head, which I thought was mandatory when visiting mosques. 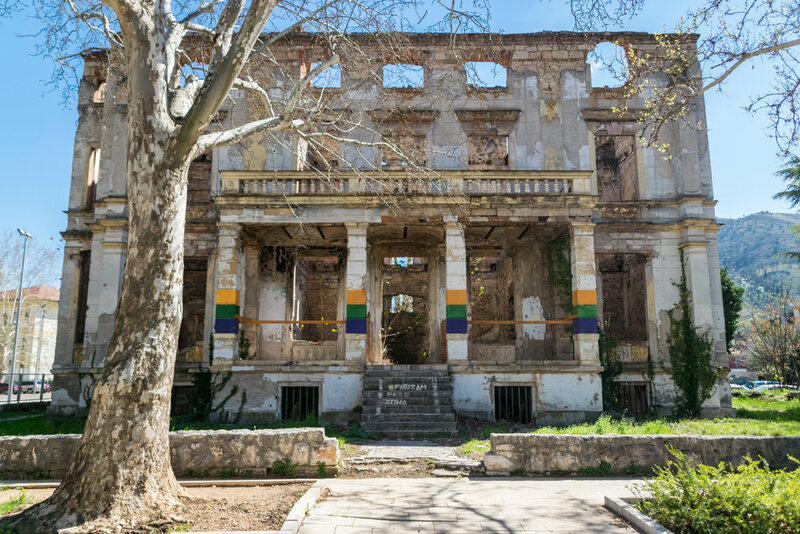 Mostar is the perfect-sized city for a day of exploring. I took a walking tour with a local agency and enjoyed a leisurely stroll while learning about the fascinating town. 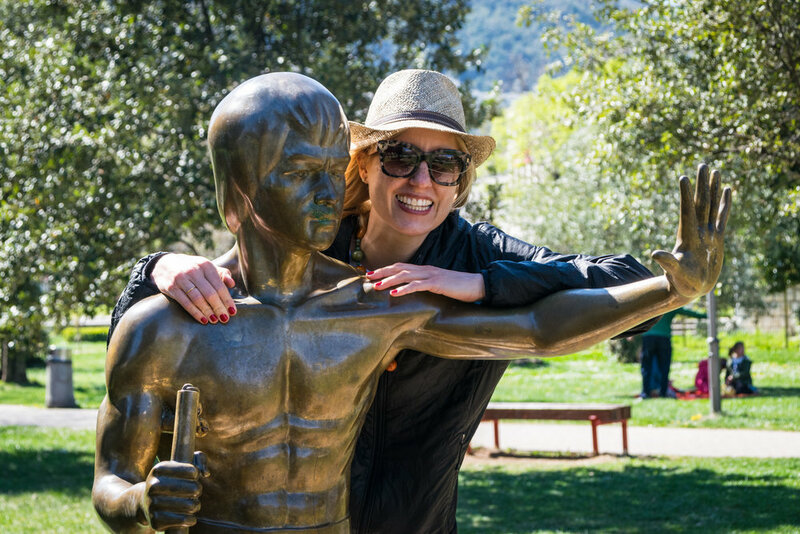 For example, did you know that Mostar's war-weary residents in 2005 erected the statue of cultural icon Bruce Lee as a symbol of solidarity, a day before Lee's Hong Kong did? Or that Mostar isn't divided by the river but by long, wide, and car-congested Bulevar? 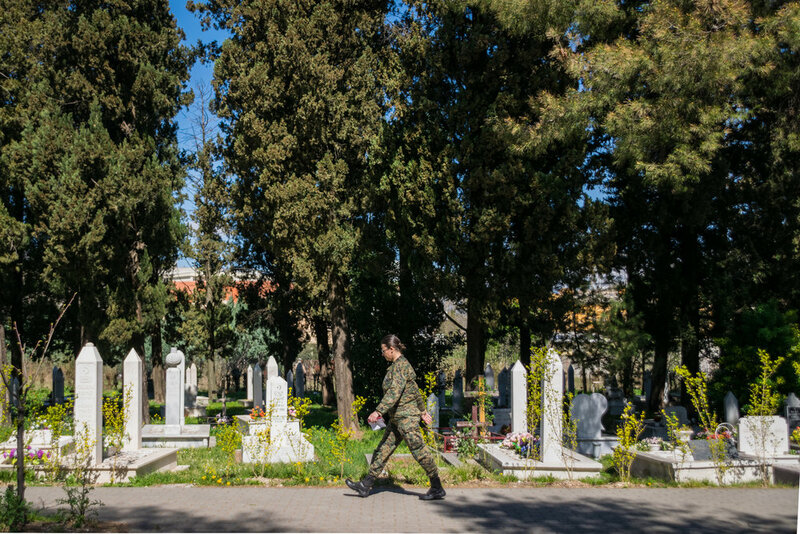 So many hidden stories in this small Bosnian city.